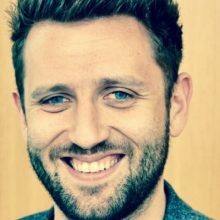 Dan Rubel has left his role as Group Strategy and Communications Director at Liverpool’s Shop Direct to join the RAC. Rubel joined the company in April 2010 as Head of Marketing, Advertising and PR, before being promoted to Strategy and Comms Director in January 2015. He was responsible for external and internal comms, group strategy, customer experience and transformation. Writing on LinkedIn, he said: “It's been an absolute blast to work with such a talented, ambitious and fun group of people - and to be part of such a fantastic transformation. In 2010 Shop Direct was a loss making catalogue business - with the new brand Very having a wobbly start to life. “Today, the company is a profitable growing pureplay, its flagship retailer Very is a double digit growth powerhouse, and the business is leading the market in customer focused digital innovation. With its brilliant team of people and crystal clear purpose (to make good things easily accessible to more people) I'm sure the years ahead will be even more successful and even more exciting. “And next? I'll joining the RAC - a massively successful business and an awesomely powerful brand. It's been great to meet some of my future colleagues already, top people, all of them so passionate about the important role the RAC plays in so many people's lives and committed to driving this business to new heights. Prior to joining Shop Direct, Rubel - who was one of Prolific North's top 50 in-house communicators of 2017 - held management roles at Procter & Gamble in Switzerland. Shop Direct’s underlying pre-tax profits in the year to the end of June 2016 were up 43.6% to £150.4m, while sales grew by 4.3% to £1.86bn, driven particularly by strong growth at Very.co.uk.